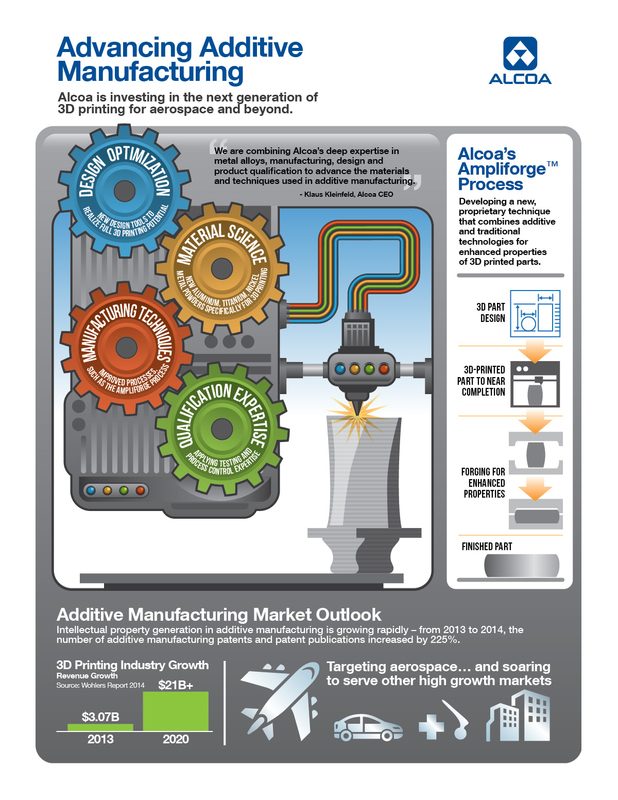 Alcoa will spend $60 million to expand its Pittsburgh Alcoa Technical Center for aerospace “and other high-growth markets such as automotive” 3-D printing. The project on what Alcoa calls the “world’s largest light metals research center” should be done by 2016, according to Alcoa. Part of it is being borne by Pennsylvania repairers’ tax dollars, particularly those which live in the area; Alcoa is getting up to $10 million in incentives and tax breaks from the state economic development office, but also from Westmoreland County, Upper Burrell Township, and the Burrell School District. Alcoa’s immediate target is aerospace aluminum — Automotive News on Thursday cited 3-D proponents as claiming it could help replace much costlier titanium in planes. However, it seems as though the company supplying the F-150’s aluminum could quickly parlay whatever it learns after the expansion into automotive products. It’s not like Alcoa will be printing a Tesla in 2017 or anything, but it’s hard not to note technology’s ability to scale cheaper and faster and wonder how quickly aluminum printing could intensify the automotive lightweighting arms race. Alcoa says this can makes parts stronger than typical 3-D printing (known as “additive manufacturing” within the industry), and it “significantly reduces” the amount of aluminum needed. The company’s metallurgists will work on aluminum, nickel and titanium powers specifically for 3-D printers, and Alcoa bragged it’d created 90 percent of the aluminum alloys used in aerospace now. The goal will be parts good enough to be certified for aerospace, Alcoa said, and other plans include cutting production time and costs and building parts with “geometries not possible through traditional methods.” The latter is likely a reference to print an oddly-shaped item as a single part instead of relying on a more complicated assembly.